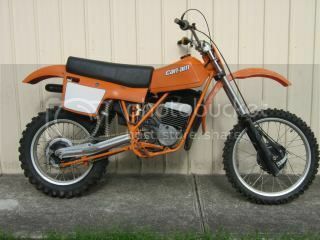 Does anyone have a front axle for a '980' CZ they'd consider to selling? It's the longer type that uses a nut to lock it up. 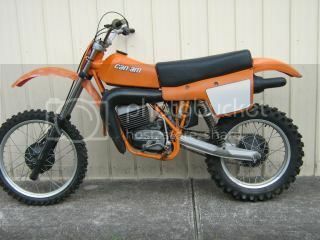 General Discussion / Need a bike moved from Retro Expo Dargle to Melbourne. 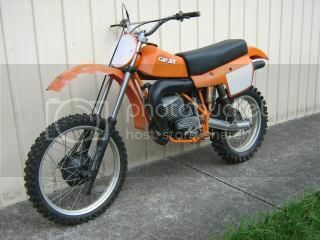 Like the subject asks can anyone transport a wheel-less bike from the Resto Expo 11/12 March at Dargle NSW to Melbourne or somewhere close by to Melb? It's a short travel mx'er with the forks and wheels out so won't take too much room. Happy to discuss renumeration or trades. Frame and engine numbers match. I've picked up some set-up booklets for the models listed above. These were supplied with the bikes in the crate to show how to assemble them. Just the ticket for a nice literature trail to enhance a total resto package. General Discussion / Australia awarded Six Day victory! Hot off the grapevine - Australia have been awarded the win for the Six Day. How good is that!!! Apparently France was relegated to 28th position. For Sale / NOS Yamaha IT250H fork springs. 3 NOS fork springs 4V5 Yamaha IT250H. $20each or 3 for $50 (+ post). Vinduro / 2015 Harrow Vinduro, July 25-26. For Sale / Can Am and KTM sell-off. Posting on behalf of a forum member (it's not my stuff! ). Please contact me via Email with a contact number and I will contact you. Get in quick! Lotsa good stuff here for the discerning rider. General Discussion / Trouble posting ads on Marks swap. General Discussion / What a waste - bloody admen! In a weak moment I took a little notice of a TV ad by a insurance company (because it featured a bike!) and was a bit horrified to see them crash an RL250 into the side of a bus! It was meant to be humourous but I wasn't laughing! Shocked I tells ya! Couldn't they have used a bike that no-one would miss, like a IT or Hodaka or such? 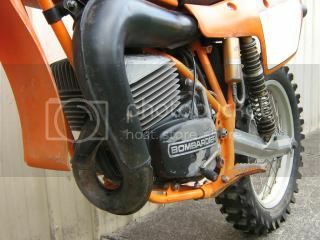 Wanted / Aprilia Climber 240 parts. Hoping someone can help with a sidestand and mount, and a kickstart lever? 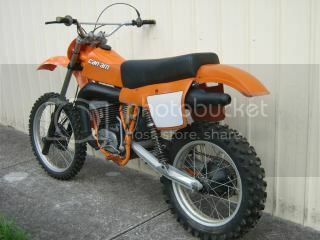 Other Makes (CanAms, Coopers, etc) / Canam 250 MX6-B for sale. More pics available. Located Melbourne. Starts and runs well but needs a going over before use as its been sitting awhile. No issues and sporting some battle scars. Canam Ohlins shockers but the springs are a bit light - shafts good. Kickstart shaft good. Respoked wheels. Nothing not working or munted but the pics dont reveal small marks etc. $4000 ono. For Sale / Canam 250 MX6-B for sale. For Sale / YZ250 88-91 605P4 piston kit. New. 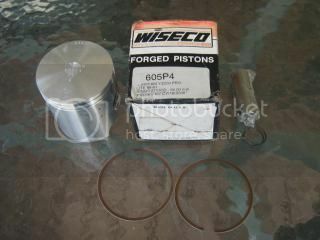 New 1.00mm o/s Wiseco piston kit. Pin, clips, rings and piston. Just the ticket for your pre90 racer! $75 + post.